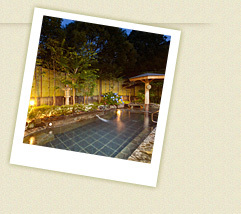 Kyukamura Oku-Musashi provides an excellent access among the national park resorts. It is only 70 minutes from the urban core of Tokyo (Ikebukuro). So close to Tokyo, this resort, where you can enjoy richly green hiking trails or a picnic by the riverside, still feels peripheral and in the midst of nature. Our barbecue terrace and a variety of lunch menus including local vegetables ensure that you will have memorable culinary experiences. You can also shop at one of the commissary stores that sell products made of local timber or enjoy a shaved ice desert at one of the tea houses on a hot summer afternoon. Regarding to KYUKAMURA OKU-MUSASHI, it is closed from January 10th, 2018 to April 25th, 2018 for renewal.